Ever wonder how we transform a stone into art? Here we have our master Livingroc team of masons creating one of our natural stone bathroom vessel sinks. With precise movements this piece becomes something to admire. We invite you to gaze into our bathroom selection. 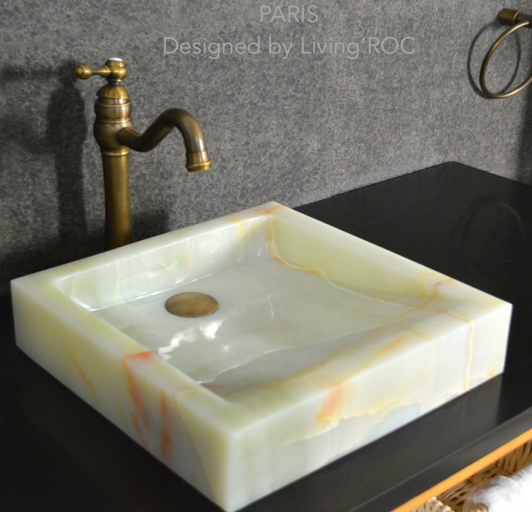 You will be amazed at the beauty the natural stone can hold.